-- Then after it is cool we again test 100% of the lamps to see if it still work well . With more than 10 years' experience , we won a good reputation from our clients all over the world. We participate in every Spring and Autumn Hong Kong Lighting Exhibition, welcome to your visit. 4. Distributor ship is offered for your unique desigh and some our current models. 5. Protection of your sales area, ideas of design and all your private informaton. , Limited Located in Longgang District which specialized in foreign trade business. 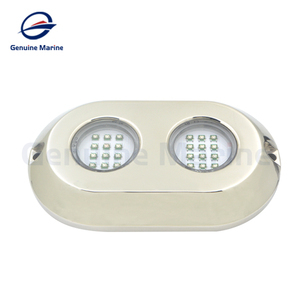 2, First-class stainless steel (316) or bronze AB2 shell has excellent corrosion-proof, makes the light to use in sea water freely. 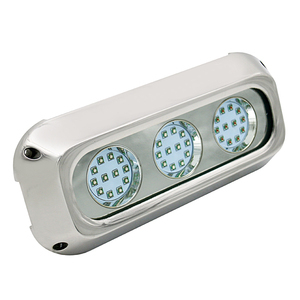 3, High luminous efficiency, life-span reaches 50000 hours 4, Widely working current range. 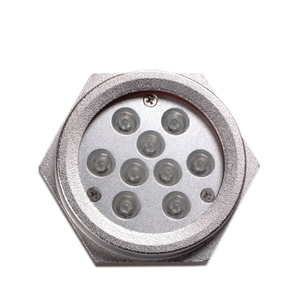 Lower electric consumption 5, Waterproof (IP68), Shake-proof, Energy-saving, Environment-friendly. Easy to control and realize color change with DMX controller or auto-control. 3.Using red, green, and blue light emitting diode produces gezer seven colors mixed color, can satisfy different occasions of color. 4.Pure color, can penetrate smoke and fog 5.Long life, the average life expectancy is 80000 to 100000 hours. 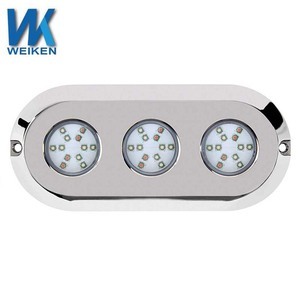 Surface Mount 316 stainless steel rgb IP68 marine underwater led light 6wunderwater boat led lights led underwater lights Specification Part No. 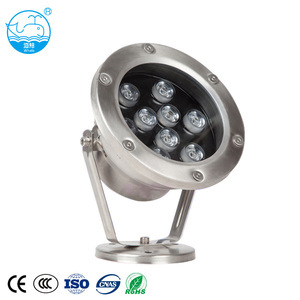 size ` Picture Feautue: LED Uderwater lights; Use the LED Marine light to show the sea creatures in the night, floodlight to show off the outline of the marine, the illuminative light as new fashion illumination. 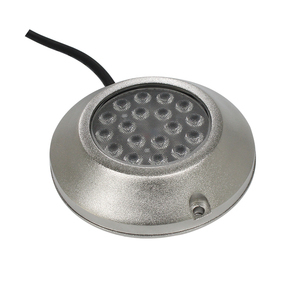 Water-proof IP68,stainless steel cover,safe,high brightness and as long as 50000 working hours.